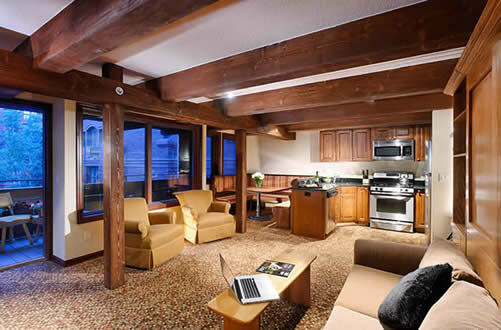 Our newly remodeled apartments offer a beautiful base for your Aspen vacation. 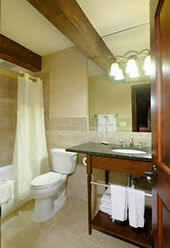 All feature two bedrooms: one with a king-sized bed and one with two twin-sized beds. There is an additional queen-sized murphy bed in the living room. All apartments have two full bathrooms. They also have full kitchens, dining areas, plus living areas with flat screen TV and DVD/VCR.